Thanks to Islamic terrorism analyst and police advisor Walid Shoebat, it’s been alleged that the man selected to take a shot at Donald Trump during the Democratic National Convention was not identified honestly by Hillary Clinton. Khizr Muazzam Khan graduated in Punjab University Law College, as the New York Times confirms, and he specialized in International Trade Law in Saudi Arabia. An interest lawyer for Islamic oil companies Khan wrote a paper, called In Defense of OPEC to defend the Organization of the Petroleum Exporting Countries (OPEC), an intergovernmental oil company consisting of mainly Islamic countries. 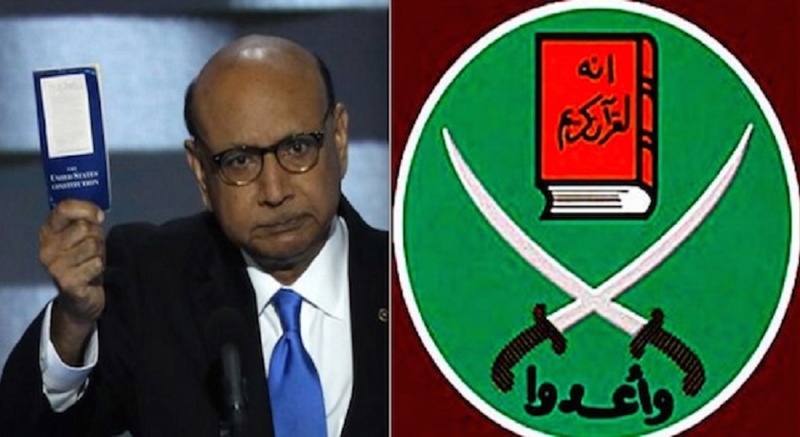 Kahn is a promoter of Islamic Sharia Law. 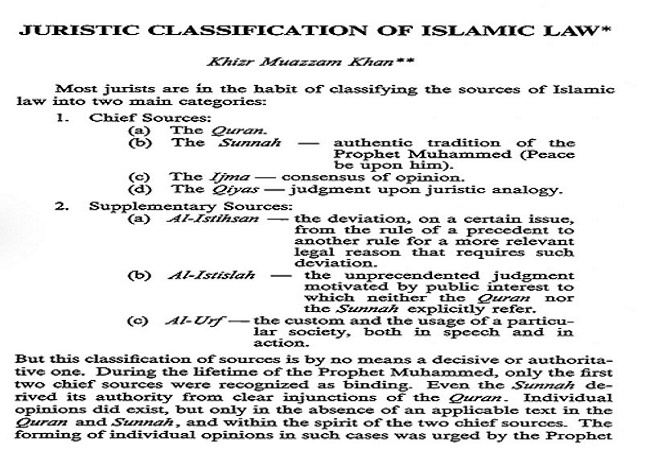 Khan is also co-founder of the Journal of Contemporary Issues in Muslim Law (Islamic Sharia). At the bottom of the page, Kahn shows his appreciation for an icon of the Muslim Brotherhood: “The contribution to this article of S. Ramadan’s writing is greatly acknowledged.” S. Ramadan is Said Ramadan, head of the Islamic Center in Geneva and a major icon of the Muslim Brotherhood. 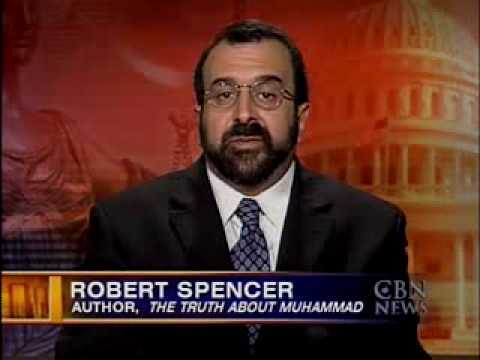 Ramadan was a writer who wrote material for the Muslim Youth Movement of Malaysia, an organization that has been promoting Islamic revivalism and indoctrination to recruit young people in Malaysia to jihadism. It is actually a Malaysian branch of the Egyptian Muslim Brotherhood. Ramadan wrote a book called, Islamic Law: Its Scope and Equity, and a version of it was published for the Malaysian Muslim Youth Movement (a branch of WAMY). Said Ramadan, Kahn’s source for his writing, was major leader of the Muslim Brotherhood in Egypt, according to the Islamic scholar, Kemal A. Faruki. Kahn wrote the paper in the eighties while he was in Saudi Arabia, the motherland of Wahhabism, which means that Kahn clearly had a Wahabist connection. Kahn currently runs a law firm in New York City called KM Kahn Law Office. According to the website, the the law firm specializes in “immigration services.” Most likely Kahn was working to bring Muslims into the country. Huma Abedin’s family is alleged to be part of the Muslim Brotherhood. Walid Shoebat is a Palestinian American, born in the West Bank to an American mother, who converted to Christianity from Islam. Shoebat has claimed that he used to be a Palestinian Liberation Organization (PLO) terrorist on a CNN television. The left is so brainwashed they will believe this man and vote Hillary. Sadly we will get 8 more years of Obama/style non leadership. i am proud to be an american born and raised in south west georgia. our country future is in serious trouble with so many people that have not been very good at achieving the american dream, that they have sorta blamed the united states for not being fair. these people are the ones that are causing the problem. most of these people do not want to work, and are usually using drugs and or alcohol and usually smoke cigs and are looking for the hand outs. the message the democtatic party is sending out to get votes is leading our country down the wrong path by telling these people that they are entitled to these freebies. they possibly could be some good ones in ths group, but how can we change them to understand that the goverment is not responsible for their lively hood! you can not rely on the lottery. only hard work and and faith in JESUS can do it! as for the muslims, we do not need them i our country. we have to draw the line somewhere. they do not want to accept the american laws and traditions, they need to stay and keep the hell out of the U. S.. they are millions of americans that fill this way and we are ready to do what it takes to save our country! obama was placed here to cause trouble and got elected under false pretenses and by people that were lead to believe he could make things better for them and hillary wants to go down in history as the first woman president. she a proven crook and constant lie. a person who will tell you a lie will also cheat and still, and if you get away with these sins then you may even kill someone. most democrats lie! the people that vote for democrats are like and old sting om christmas lights, half don’t and the other half are not to bright! we need to close the door to immigration until we can figure out who has slipped in! if you do not or have never paid any taxes, simple, you do not vote! if you can’t prove who you are with a photo i.d. ,simple, you do not vote! if you were born in a america, you are a citizen. you need to own and learn how took shoot a fire arm, because it may come down to fight to save your life and this country!